Today.Az - Why $100/bbl scenario is not big blow to global growth? Why $100/bbl scenario is not big blow to global growth? Further increase of oil prices to $100 per barrel would not be a huge change, UK-based Capital Economics consulting company said in its report obtained by Trend. "While we expect oil prices to fall back from their four-year high, a continued rise to $100 per barrels would not deal a big blow to global growth. But it would exacerbate current account pressures in some emerging markets," said the report. The price of Brent crude has risen to $85 per barrel, mainly due to concerns about supply, according to the consulting company. "We think that prices will fall next year. 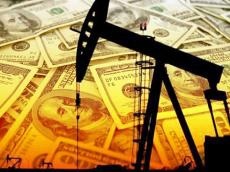 But with oil sanctions on Iran yet to come into effect and US shale producers impeded by supply bottlenecks, there is a significant risk that prices rise further in the near term," said Capital Economics. Oil prices have been rising for three years now, so a further increase to $100 per barrel would not be a huge change, according to the company. "If Brent stayed at $100 per barrel throughout 2019, fuel consumption would cost consumers in major advanced economies an extra 0.3 percent of annual household spending compared to this year. Admittedly, headline inflation in OECD economies would be a percentage-point or so higher over the next year than we are forecasting. But with growing signs that low unemployment is fuelling higher wage growth in advanced economies, real incomes probably wouldn’t be squeezed that much," said the report. "Even if higher inflation were to drag on real income growth, households may not cut their spending very much. After all, they shrugged off rising oil prices in the past when confidence was high and labour markets were strong – as they are today." What’s more, most central banks would be unlikely to tighten monetary policy in response to moves in headline inflation caused by higher oil prices, Capital Economics believes. The report said that second-round inflation effects from higher oil prices have been small for many years, leaving average core inflation in a narrow range. "Finally, the income transfer from oil-consuming to oil-producing economies would not drag on global demand as much as in the past. Indeed, the saving rate of the world’s ten largest net oil producers was only a touch higher than that of the biggest net consumers last year. While the global economic fallout from Brent at $100 per barrel would be small, clearly there would be some concentrated costs."